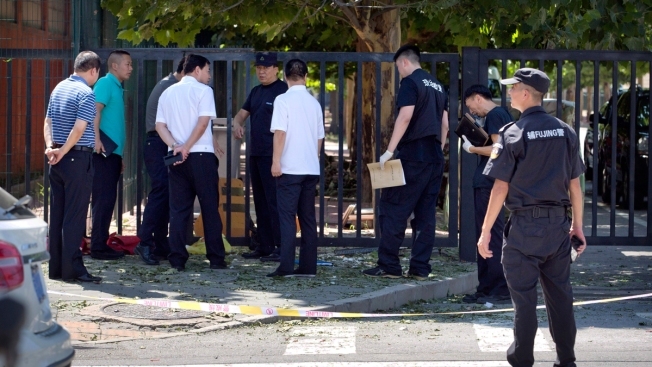 Officials and security personnel stand near the site of reported blast just south of the U.S. Embassy in Beijing, Thursday, July 26, 2018. A man detonated a small, homemade bomb outside the US Embassy in Beijing Thursday, injuring only himself. Police said the device was made from fireworks and was set off at approximately 1 p.m. local time. No damage was done to embassy property, according to a spokesperson. 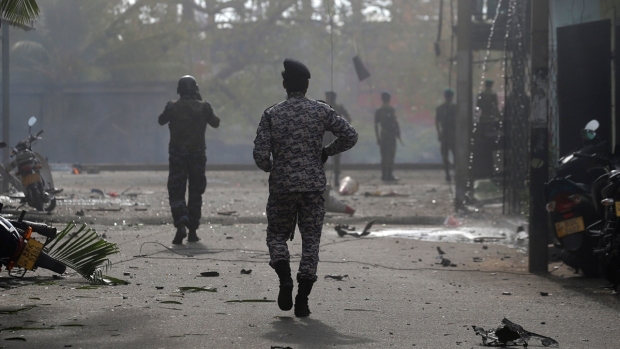 No damage was done to embassy property and no other injuries were recorded, a U.S. embassy spokesperson said, speaking on customary condition of anonymity. On weekdays, large lines of visa applicants form outside the embassy, which sits in a busy corner of the city with numerous diplomatic facilities as well as hotels and stores.